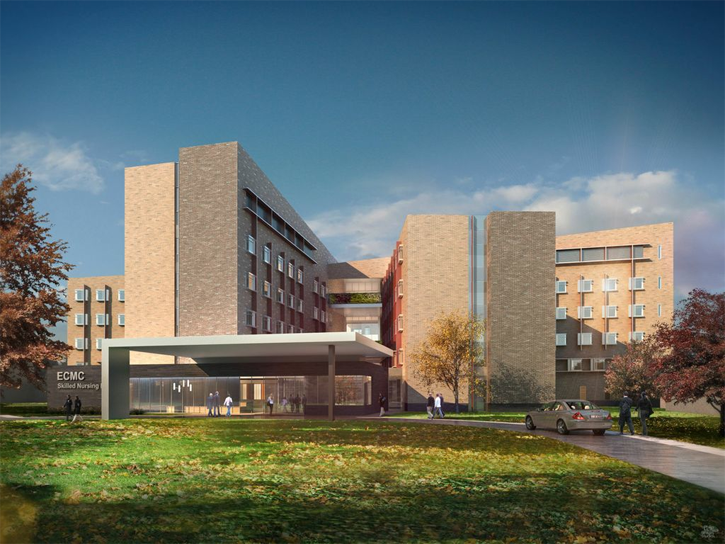 ECMC is a new eight story skilled nursing facility with 330 patient beds. The plan features a central core of access and services serving eight patient room wings. Multi-level exterior patios are accessed from the central core, each overlooking gardens below. The garden theme was reinforced with graphic treatment of surfaces of interior visitor and patient lounges. Large areas of glass in public spaces and expansive windows in each patient room flood the interior with natural light.